Most other programs teach you how to love yourself, love your life, and practice the Law of Attraction in order to find your man. The Call In Your Man program is specifically focused on clearing your persistent and chronic attraction to unavailable men that has kept you frustrated and single. Not only do I help you unwind this toxic pattern at the core so that you’re no longer dating unavailable men, I also teach you everything you need to know to find and choose an available man who enhances all aspects of your life instead of depleting it. …Then this is the program for you. The Call In Your Man program is your last stop on the path of finding the love that you deeply desire and deserve. What does the Call In Your Man program include? You’ll get transformational audio teachings you can listen to anywhere, along with powerful exercises that will enable you to make fast and lasting changes to your love life. You’ll join live, intimate, weekly group video calls with Maya and the coaching team where you’ll have an opportunity to get all of your questions answered via personal coaching. You’ll gain the support and friendship of the other women in the program, who you’ll meet on the weekly calls and the Secret Facebook Group. Identify and release the love blocks that are preventing him from entering your life. Increase your overall happiness by identifying and nurturing the areas of your life that are out of balance. Identify the men who are depleting your life, and understand why it is imperative that you let them go. With Maya’s guidance, you’ll be able to let these men go in a way that is healthy, safe, and will enable you to call in a healthy relationship. Learn what an insecure and a secure relationship looks like and feels like, and how to recognize the difference in your body so you can consciously choose what’s best for you. Discover why a secure relationship is exponentially more healthy, satisfying, and lasting then the ups and downs of an insecure relationship. Identify the core wounds that have created the pattern of choosing Unavailable Men, and uncover how they have been running your relationships. Together we will heal these core wounds, and you will learn practices you can do everyday to unwind these core patterns. Discover what an unavailable man looks like and feels like, and what an available man looks like and feels like. By the end of this module, you’ll be able to discern the difference quickly and easily, so that you can pick up on red flags and screen potential partners successfully. Experience powerful tantric practices to increase your feminine radiance, joy, and sensual nature. Increase your internal security and confidence so you can attract and become an available, healthy partner. Bring clarity to the parts of you that are unavailable, afraid, or in resistance to having a lasting, fulfilling, and satisfying relationship. Heal those parts so you can become more available to potential partners, and practice cultivating availability in all your relationships. Create an attractive, clear online dating profile that will attract your partner. Learn how to communicate with men in a way that really works. Get valuable offline dating strategies you can use to meet men in the “real” world. Find out the best way to pace your dates so that you wind up with the right man. Get the best techniques to flirt with ease while being yourself. Master the Art of Surrender and discover how it relates to your love life. integrate and Celebrate the work you’ve done so far so that you can deeply embody the principles and practices. “Wins: I have been in a relationship now for 5 months. 3 of which were us consistently dating and 2 of which have been us deciding to be in partnership. Also a Win: I am probably not going to be in partnership with this person anymore soon, as a couple of deal breakers have come up that I wasn’t previously aware of/hadn’t paid attention too. Of course it hurts, I am very attracted to this person and there are qualities in him that are very admirable. But this has been the most mature relationship I have ever been in… I have been the most mature I have ever been, I have been very secure and consistent, and I am standing by my must haves and my deal breakers. This is a major win for me as I usually would attach quickly and then stay in relationships long after it had become really obvious (usually in that first little while…but i wasn’t very good at navigating that) that we were not a match. Beth Gold is a trained,officially trained Empower Love Coach, as well as an experienced, professional dating expert whose passion is helping others find and keep the love they desire. 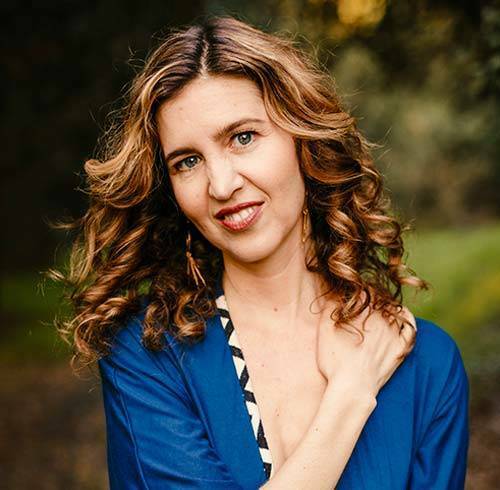 Erin Keeley (MS) is a trained, officially trained Empower Love Coach, organizational culture consultant, yogi, and mama. Jamie Mantey is a trained,officially trained Empower Love Coach, who empowers women to create secure, healthy, joyful, flourishing partnerships.